Our Pricing Specialised Service. Partnership Quality. 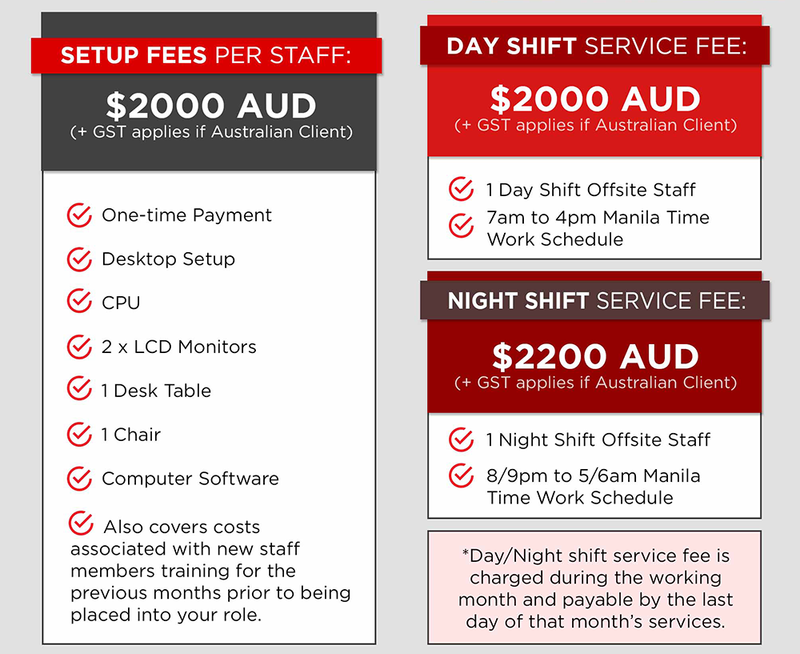 Our pricing is the same for every client across the board no matter how small or big. To be a completely neutral service we must ensure our pricing is the same. 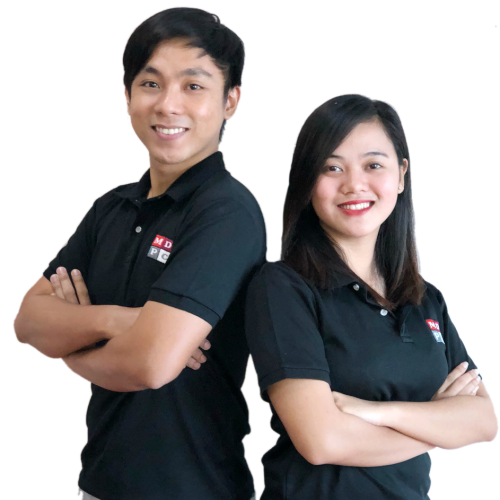 Our pricing has certain costs factored in which may not directly be in relation to your staff’s direct monthly costs like end of year bonuses, staff team weekends away, backup staff, overseas operational costs for MDPC Management being in Manila 10 months a year. All of this plays a large part in our retention of good staff and is why we have such low turnover rates in Manila.